Last Thursday, I spent the second hour of the Moon Griffon Show in the studio, mostly talking with Moon about the special sessions and who was really to blame over the failure to produce a budget (HINT: It’s not the conservatives). Off the air, we began talking about other things, including Bobby Jindal’s governorship and some of the ideas he put forward. When we got back on the air, I brought the subject back up and said that Jindal’s biggest problem with the ideas he put forward were that they seemed as much, if not more, about building a legacy for a national platform rather than solely for the good of the state. To be fair, his ideas were conservative at heart: School choice, getting rid of the state income tax, and others like that. They were ideologically sound, but they are ideas that should have been on the platform from the get-go and should have come early in his tenure, rather than later. The more I thought about it during the show and in the days since, I realized that Jindal, though his time as governor is marred by budget problems and his higher ambitions, will be a governor who is remembered. His school voucher program was passed, and it is in place. It will continue to remain in the state’s arsenal of education reforms. That will always be a part of Jindal’s legacy. Years from now, we will recall Jindal’s school voucher plan as we recall other government programs: Mitt Romney’s “Romneycare” in Massachusetts or Ronald Reagan’s tax cuts. John Bel Edwards, who could very well be a one-term governor, has only one “accomplishment” to his name, and that’s Medicaid expansion. That was done through executive power, and the very next Republican governor to come in can undo it with a simple stroke of a pen. Edwards’ entire first (and hopefully only) term will be spent focused on making a budget problem worse. The Medicaid expansion, coupled with his constant demands for increased government spending elsewhere, has created an unsustainable budget that the legislature cannot come together to fund. He has spent three years now alienating not just conservative Republicans, but the entire legislature. 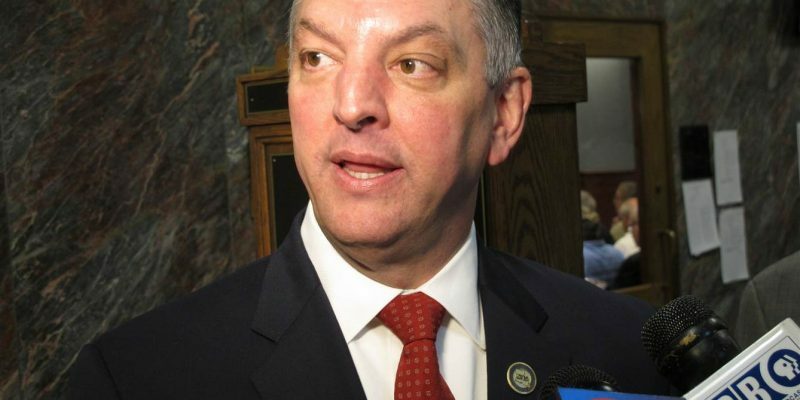 He sent Jay Dardenne to browbeat the Senate into submission over the budget, and John Alario, who had been an Edwards ally up until then, returned the browbeating tenfold, sending Dardenne home with his tail between his legs. Edwards doesn’t even have control over his own party, as evidenced by his utter inability to get the Legislative Black Caucus to come to the table and vote on a tax increase in the first session. They may have the same ideologies, but Edwards is not the leader of his party. Frankly, they appear to resent the notion. The Office of the Governor is powerless right now. He has been rendered powerless in a truly bipartisan fashion, and there is absolutely nothing that he will be able to do after this third session to win his power back. Signing an abortion bill and a bill to bring “In God We Trust” back into schools? Those were his opportunity to win some conservative street cred back with the voters, but they flew far under a radar lit up with budget problems. Bobby Jindal will be remembered for his ideas. If John Bel Edwards is remembered at all, it will be as the most stunning example of a failure in Louisiana gubernatorial history. But, politicians are remembered for their ideas, and if the past three years have shown anything, it’s that Edwards has no ideas whatsoever. He is a powerless, idealess governor whose hold over that office is tenuous at best. Next Article There Are Four New Appointees To The LSU Board Of Supervisors. What Do We Know About Them?